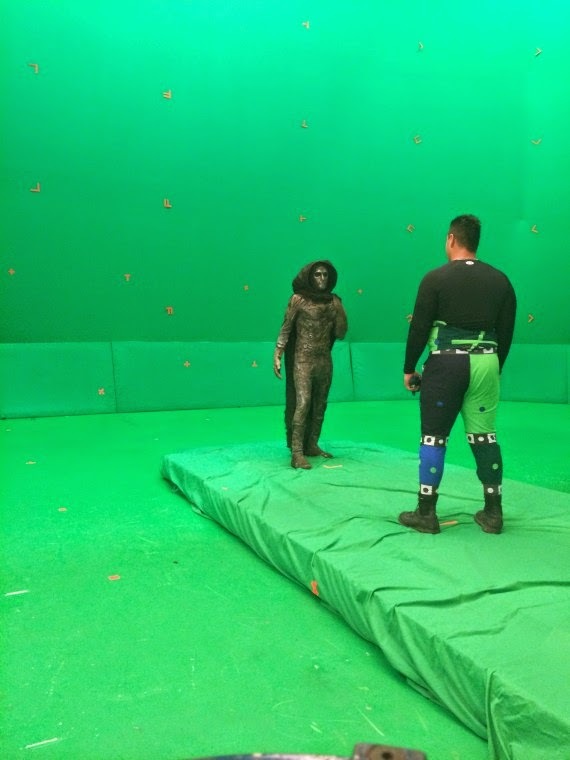 Set Pics for Fantastic Four reveal Doctor Doom's look... and some other things! A lot of controversy has surrounded this new The Fantastic Four reboot, set to come out in 2015. First, there was the decision to go with a much younger team (which includes Miles Teller, Kate Mara, Michael B. Jordan and Jaime Bell) and also the fact that Johnny Storm (the Human Torch) was black instead of being traditionally white. I personally had no problem with it, since Jordan played almost like a Johnny Storm-esque character in Chronicle. What has me worried is that they cast Mara (who's white) as his "sister", which means they must be abandoning the fact that they are brother and sister, which is absolutely fundamental to the two characters. The film also has a lot of trouble, coming off of two very poorly received (by both fans and critics) Fantastic Four movies. Even though the bar is low from those films, there is a lot of expectations for what this movie should be and everyone has been eagerly looking at every little thing that has come out about the movie (which isn't much). We know that the villains will be the Mole Man, played by The Incredible Hulk's Tim Blake Nelson and Doctor Doom, played by Dawn of the Planet of the Apes's Toby Kebbell. I liked Nelson's role in The Incredible Hulk and I think he'll do good in this universe. I am especially excited for Kebbell as Doom. In many ways, Kebbell stole the show in Dawn playing the villain Koba. I am very interested in seeing what Kebbell will bring to the role. If anyone is familiar with Land of the Lost, he looks kind of like a Sleestak. I like the look of the mask. Like I said, it looks ominous and creepy, which would fit with their theme of doing a "gritty" and "dark" reboot. 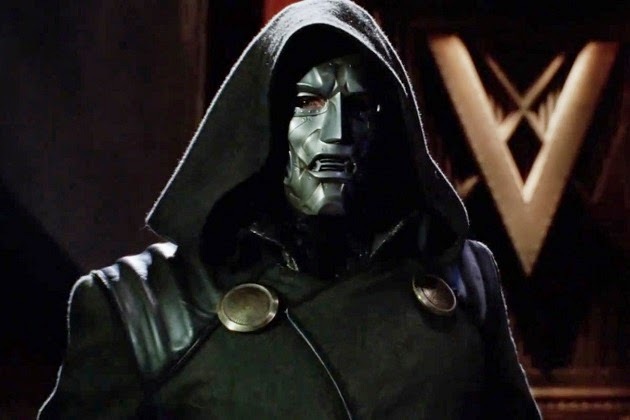 In the previous movies, the Doctor Doom costume wasn't bad, it just wasn't threatening. There was another set picture released of the new Doom, which seems to reveal a few more interesting things. 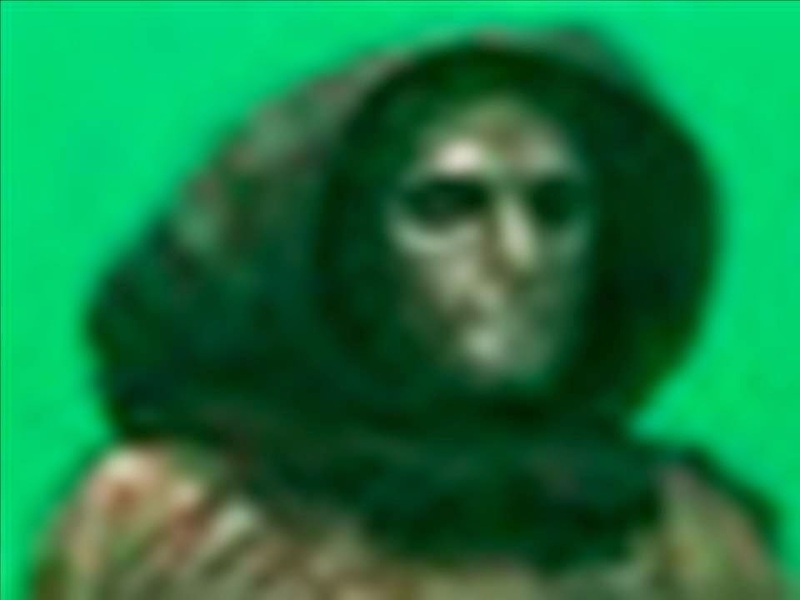 At first look, it just looks like another picture of Doom from the set, but a few interesting things can be found here. 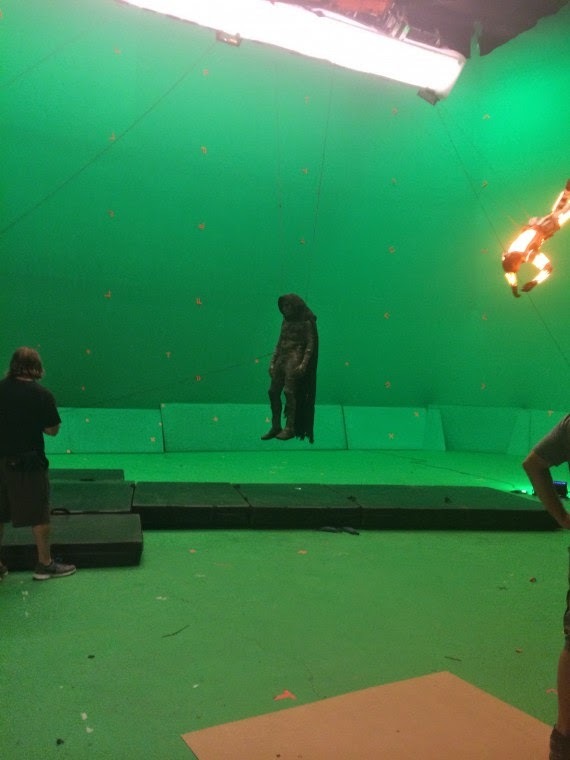 First, Doom looks as if he is flying, as the actor is suspended on a harness. Flight isn't a power of Doom's from the comics, yet in the previous Fantastic Four movies, they made up him having electricity powers, so they could give him something extra if they wanted. It also may just be taken out of context and he's really just falling or something like that. The other interesting thing is that, in the top right corner, it looks to be the Human Torch flying in. I zoomed in to get a better look but it's also blurry. 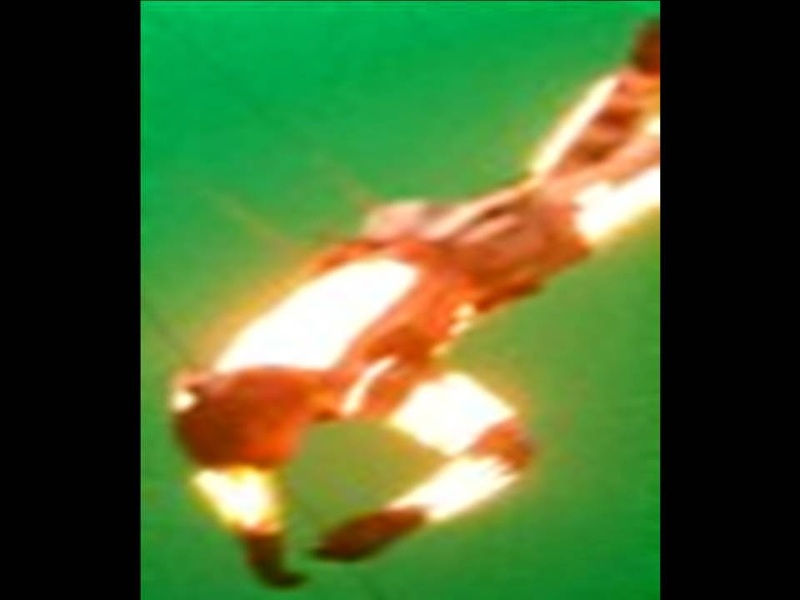 A lot more flames and fire will obviously be added with CGI in post production, but the clearly dark skin confirms that this is our first (unofficial) look at the Human Torch. What do you think? 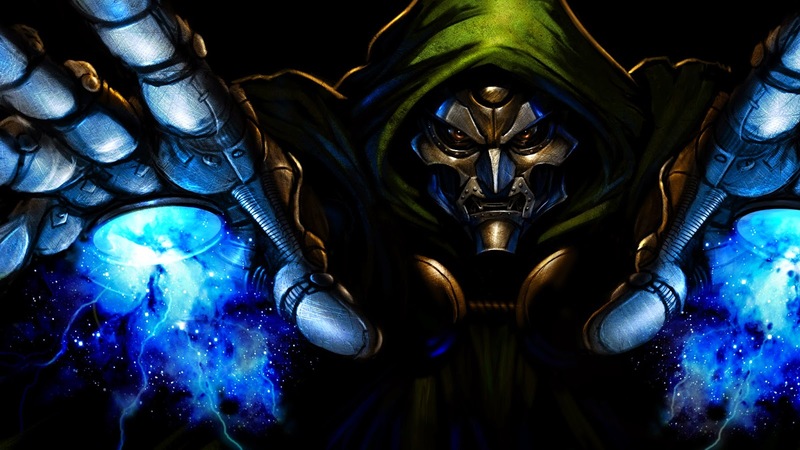 Do you like the look of Doctor Doom? Did they give him the power to fly? Leave your thoughts in the comments section.